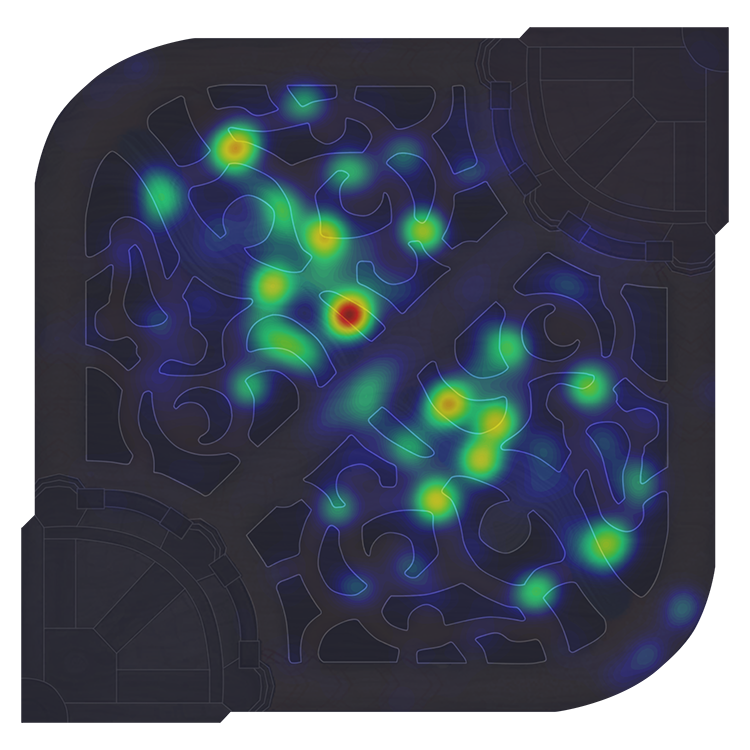 As the 2015 season drew to a close, our data analysts were paying close attention to the vision control strategies used by each of the best League of Legends teams in the world. In this blog post, we'll use heatmaps to analyze how teams and regions played the vision game in the group stages of the 2015 World Championship. Hopefully, we can provide a window into how the best teams in your region establish vision control and how that stacks up to other regions. Who knows—maybe you'll find some information to take your own play to the next level. 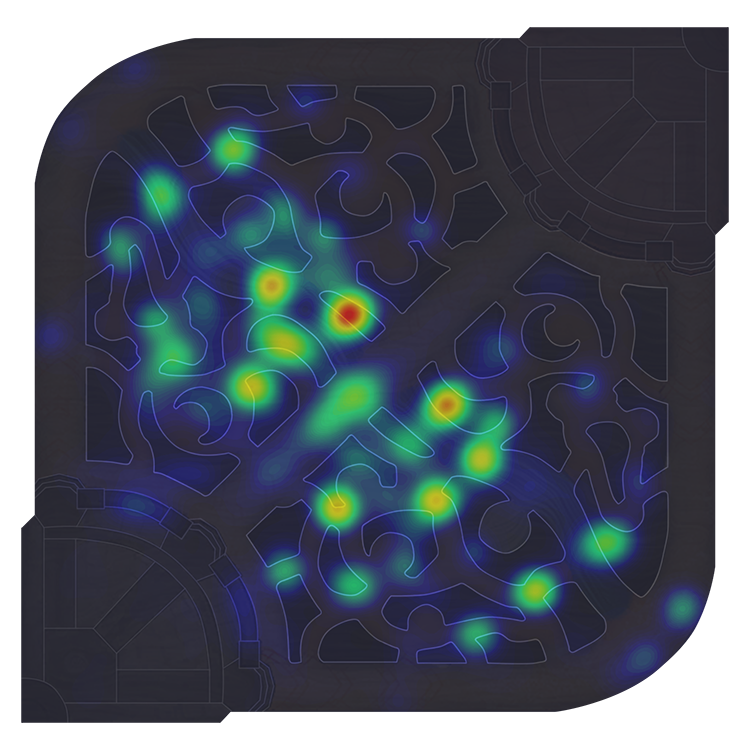 Heatmaps are two-dimensional representations of data in which values are represented by colors; they're really good at summarizing large and complex data sets. 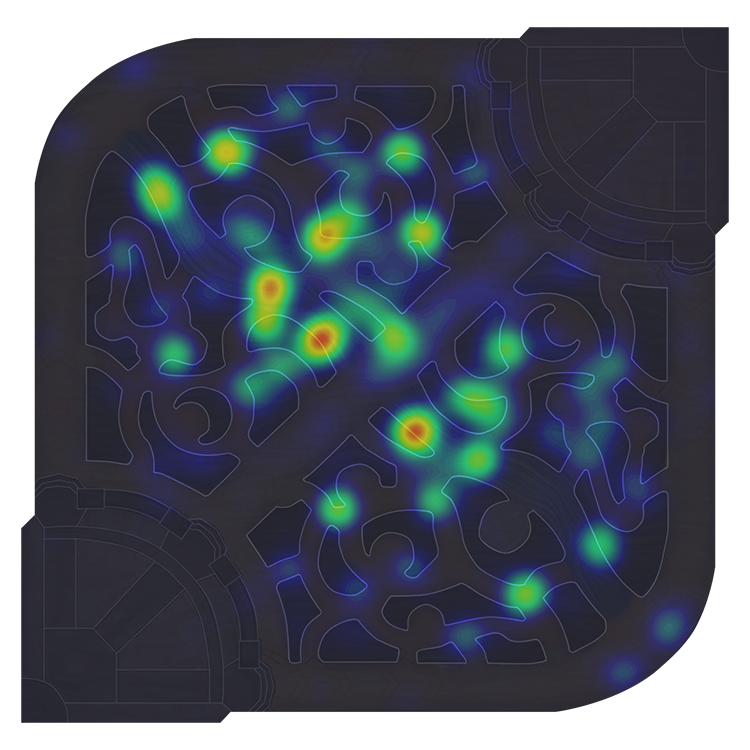 They're often used to understand a person’s focal attention on a computer screen, or track mouse behaviors in UI design. 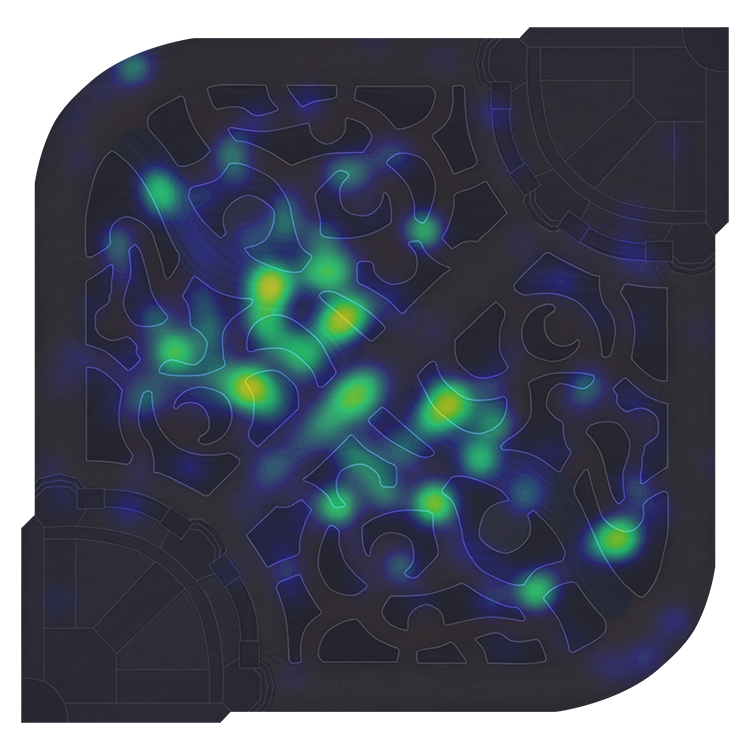 In this case, it allows us to quickly visualize and start to interpret the 11,000 wards dropped on Summoner’s Rift during the 49 games played during the Worlds 2015 group stage. 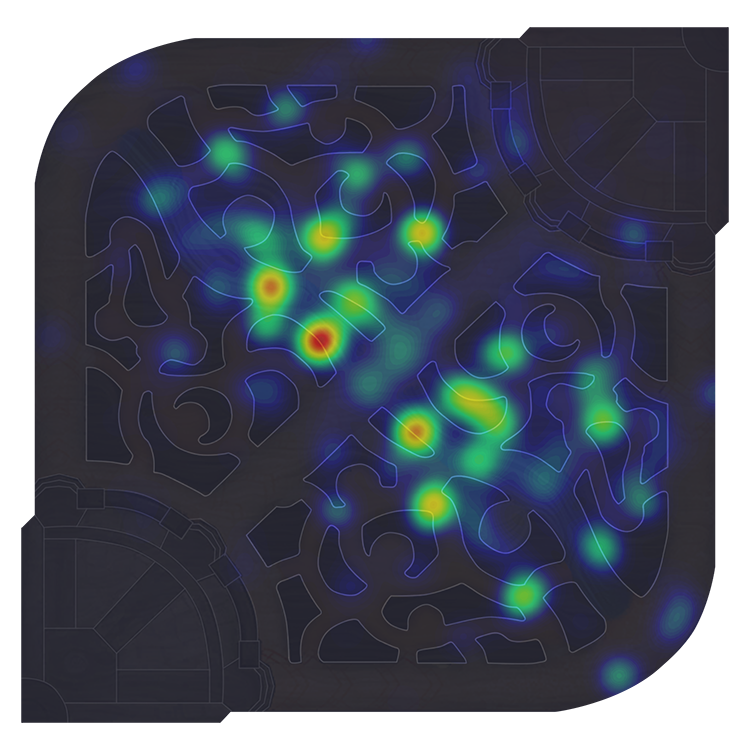 To generate these maps, we gathered the coordinate positions of each ward placed and plotted each of these points on a grid the size of Summoner’s Rift. 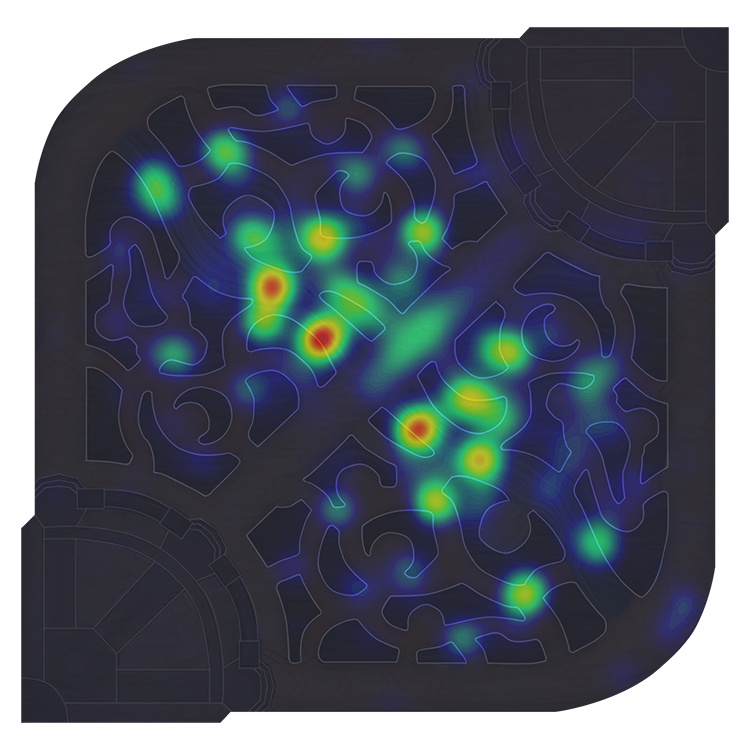 We plopped each ward down on its corresponding (x,y) position on the minimap, then smoothed the distribution of wards. 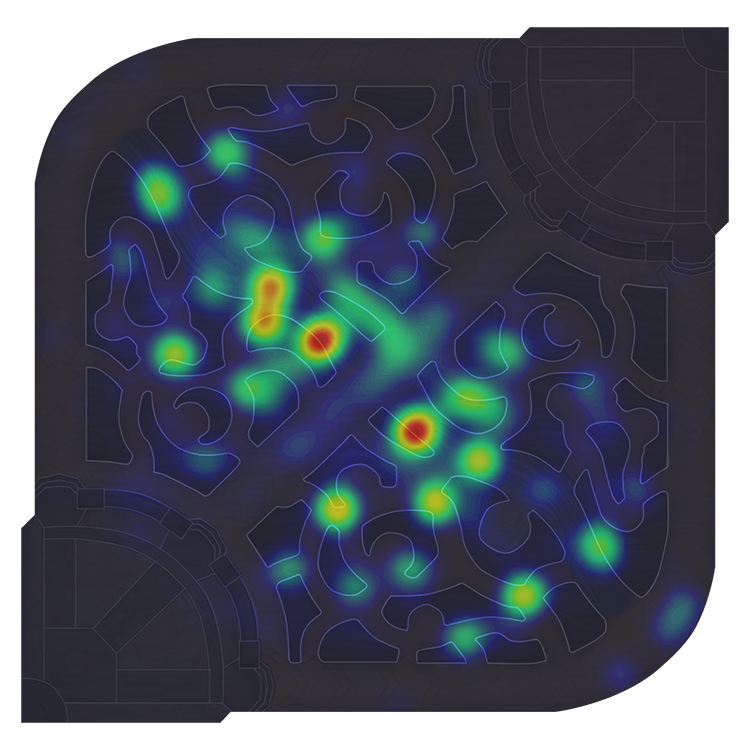 Clumps of wards placed in close proximity to each other generate a "hot spot" on the map. The hotter the spot is, the larger proportion of overall wards were placed there. 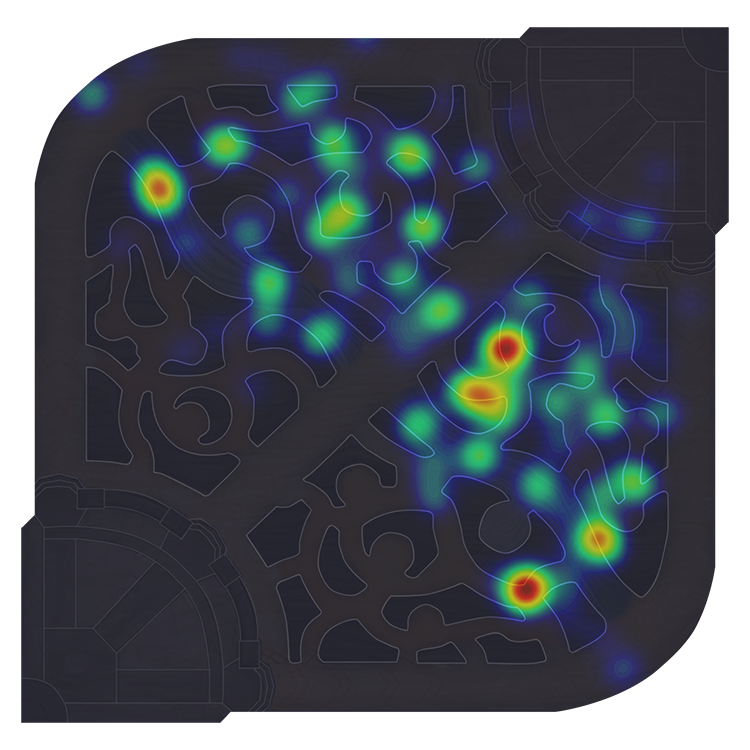 While playing on the blue side, teams from KR were overall more distributed with their ward placements, tending to spread their wards out and not dedicating a huge chunk of their wards to any one place (which would be indicated by red on the heatmap). 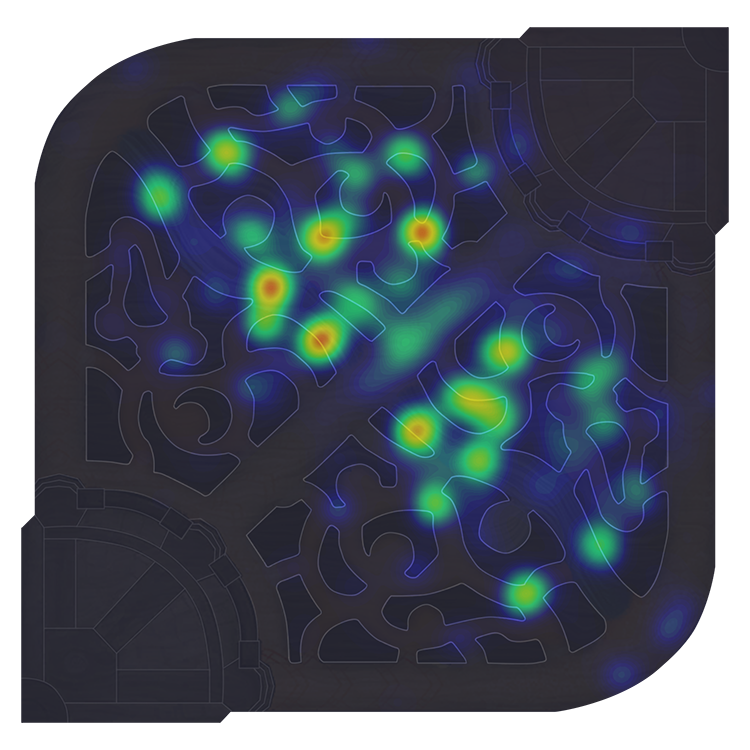 This was accompanied by a large amount of wards deep into the enemy jungle and side lanes—probably a combination of intentional strategy as well as a reflection that Korean teams generally swung games in their favor to spend more time in enemy territory. NA and the International Wildcard (IWC) regions placed heavier emphasis on vision around Baron and Dragon. Comparatively, NA and the International Wildcard (IWC) regions placed heavier emphasis on vision around Baron and Dragon compared to KR, suggesting a heavier overall emphasis on these objectives in their overall warding strategy. Note that this does not necessarily mean that Korean teams placed fewer wards around Baron, just that a smaller overall proportion of their wards were placed there, compared to teams from NA or IWC. In general, winning teams push their ward lines into the enemy jungle. In general, winning teams push their ward lines into the enemy jungle, and losing teams put more priority on defending their turf or warding around neutral objectives. This likely reflects an attempt to gain control of those areas to execute on riskier strategies in the Baron and Dragon pit while a team is behind. These plays can start to swing some momentum back into the losing team’s favor. 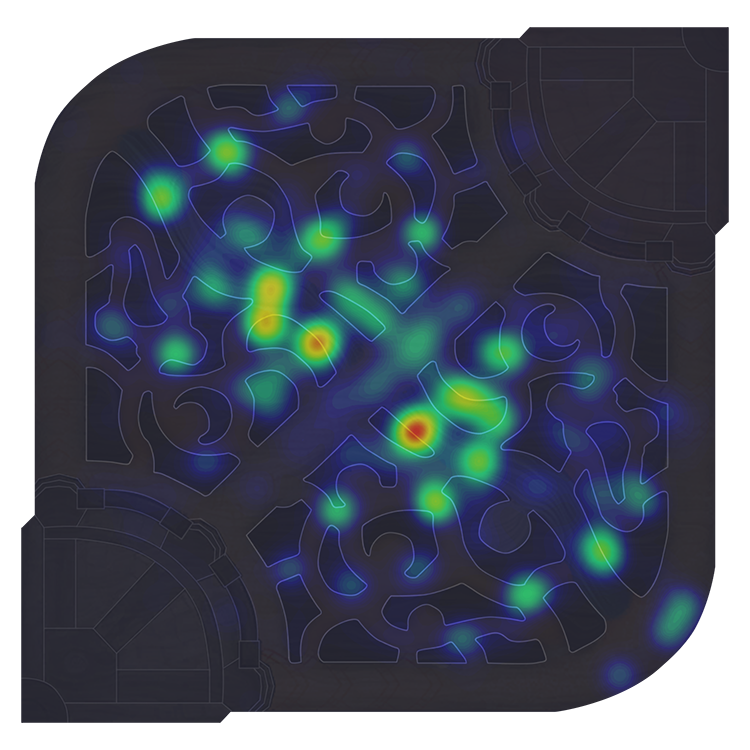 Teams from NA and IWC had more losses overall during the group stages, so their warding patterns are somewhat overrepresented in the losing team heatmaps (and a similar story can be told for KR teams and winning team heatmaps). So far, we’ve only talked about regions and sides, but what about our favorite teams? We’ve put together heat maps for every team during the group stages for their games on Red and Blue side. Pick your two favorite teams and compare them. Take the same team and see how their warding patterns differ between Red and Blue side. Compare whatever you want, just FOLLOW YOUR HEART. What did you find? Did you figure out how you can get an edge over your opponents in your next game? Tell us your stories about warding in League and what other data you want to hear about!